This article, a response to Alan Greenspan’s call for a consumption tax, originally appeared in the Review of Austrian Economics, 1994, Volume 7, No. 2, pp. 7590, as The Consumption Tax: A Critique. Orthodox neoclassical economics has long maintained that, from the point of view of the taxed themselves, an income tax is “better than” an excise tax on a particular form of consumption, since, in addition to the total revenue extracted, which is assumed to be the same in both cases, the excise tax weights the levy heavily against a particular consumer good. In addition to the total amount levied, therefore, an excise tax skews and distorts spending and resources away from the consumers’ preferred consumption patterns. Indifference curves are trotted out with a flourish to lend the scientific patina of geometry to this demonstration. As in many other cases when economists rush to judge various courses of action as “good,” “superior,” or “optimal,” however, the ceteris paribus assumptions underlying such judgments  in this case, for example, that total revenue remains the same  do not always hold up in real life. Thus, it is certainly possible, for political or other reasons, that one particular form of tax is not likely to result in the same total revenue as another. The nature of a particular tax might lead to less or more revenue than another tax. Suppose, for example, that all present taxes are abolished and that the same total is to be raised from a new capitation, or head, tax, which requires that every inhabitant of the United States pay an equal amount to the support of federal, state, and local government. This would mean that the existing total government revenue of the United States, which we estimate at 1 trillion, 380 million dollars  and here exact figures are not important  would have to be divided between an approximate total of 243 million people. Which would mean that every man, woman, and child in America would be required to pay to government each and every year, $5,680. Somehow, I don’t believe that anything like this large a sum could be collectible by the authorities, no matter how many enforcement powers are granted the IRS. A clear example where the ceteris paribus assumption flagrantly breaks down. But a more important, if less dramatic, example is nearer at hand. Before World War II, Internal Revenue collected the full amount, in one lump sum, from every taxpayer, on March 15 of each year. (A month’s extension was later granted to the long-suffering taxpayers.) During World War II, in order to permit an easier and far smoother collection of the far higher tax rates for financing the war effort, the federal government instituted a plan conceived by the ubiquitous Beardsley Ruml of R.H. Macy & Co., and technically implemented by a bright young economist at the Treasury Department, Milton Friedman. This plan, as all of us know only too well, coerced every employer into the unpaid labor of withholding the tax each month from the employee’s paycheck and delivering it to the Treasury. As a result, there was no longer a need for the taxpayer to cough up the total amount in a lump sum each year. We were assured by one and all, at the time, that this new withholding tax was strictly limited to the wartime emergency, and would disappear at the arrival of peace. The rest, alas, is history. But the point is that no one can seriously maintain that an income tax deprived of withholding power, could be collected at its present high levels. One reason, therefore, that an economist cannot claim that the income tax, or any other tax, is better from the point of view of the taxed person, is that total revenue collected is often a function of the type of tax imposed. And it would seem that, from the point of view of the taxed person, the less extracted from him the better. Even indifference-curve analysis would have to confirm that conclusion. If someone wishes to claim that a taxed person is disappointed at how little tax he is asked to pay, that person is always free to make up the alleged deficiency by making a voluntary gift to the bewildered but happy taxing authorities. A second insuperable problem with an economist’s recommending any form of tax from the alleged point of view of the taxee, is that the taxpayer may well have particular subjective evaluations of the form of tax, apart from the total amount levied. Even if the total revenue extracted from him is the same for tax A and tax B, he may have very different subjective evaluations of the two taxing processes. Let us return, for example, to our case of the income as compared to an excise tax. Income taxes are collected in the course of a coercive and even brutal examination of virtually every aspect of every taxpayer’s life by the all-seeing, all-powerful Internal Revenue Service. Each taxpayer, furthermore, is obliged by law to keep accurate records of his income and deductions, and then, painstakingly and truthfully, to fill out and submit the very forms that will tend to incriminate him into tax liability. An excise tax, say on whiskey or on movie admissions, will intrude directly on no one’s life and income, but only into the sales of the movie theater or liquor store. I venture to judge that, in evaluating the “superiority” or “inferiority” of different modes of taxation, even the most determined imbiber or moviegoer would cheerfully pay far higher prices for whiskey or movies than neoclassical economists contemplate, in order to avoid the long arm of the IRS. In recent years, the old idea of a consumption tax in contrast to an income tax has been put forward by many economists, particularly by allegedly pro-free-market conservatives. Before turning to a critique of the consumption tax as a substitute for the income tax, it should be noted that current proposals for a consumption tax would deprive taxpayers of the psychic joy of eradicating the IRS. For while the discussion is often couched in either-or terms, the various proposals really amount to adding a new consumption tax on top of the current massive armamentarium of taxing power. In short, seeing that income tax levels may have reached their political limits for the time being, our tax consultants and theoreticians are suggesting a shining new tax weapon for the government to wield. Or, in the immortal words of that exemplary economic czar and servant of absolutism, Jean-Baptiste Colbert, the task of the taxing authorities is to “so pluck the goose as to obtain the largest amount of feathers with the least amount of hissing.” We the taxpayers, of course, are the geese. But let us put the best face on the consumption-tax proposal, and deal with it as a complete replacement of the income tax by a consumption tax, with total revenue remaining the same. Our first point is that one venerable form of consumption tax not only retains existing IRS despotism but makes it even worse. This is the consumption tax first prominently proposed by Irving Fisher. The Fisher tax would retain the IRS, as well as the requirement that everyone keep detailed and faithful records and truthfully estimate his own taxes. But it would add something else. In addition to reporting one’s income and deductions, everyone would be required to report his additions to or subtractions from capital assets (including cash) over the year. Then, everyone would pay the designated tax rate on his income minus his addition to capital assets, or net consumption. Or, contrarily, if he spent more than he earned over the year, he would pay a tax on his income plus his reduction of capital assets, again equaling his net consumption. Whatever the other merits or demerits of the Fisherine tax, it would add to IRS power over every individual, since the state of his capital assets, including his stock of cash, would now be examined with the same care as his income. A second proposed consumption tax, the VAT, or value-added tax, imposes a curious hierarchical tax on the “value added” by each firm and business. Here, instead of every individual, every business firm would be subjected to intense bureaucratic scrutiny, for each firm would be obliged to report its income and its expenditures, paying a designated tax on the net income. This would tend to distort the structure of business. For one thing, there would be an incentive for uneconomic vertical integration, since the fewer the number of times a sale takes place, the fewer the imposed taxes. Also, as has been happening in European countries with experience of the VAT, a flourishing industry may arise in issuing phony vouchers, so that businesses can overinflate their alleged expenditures, and reduce their reported value added. Surely a sales tax, other things being equal, is manifestly both simpler, less distorting of resources, and enormously less bureaucratic and despotic than the VAT. Indeed the VAT seems to have no clear advantage over the sales tax, except of course, if multiplying bureaucracy and bureaucratic power is considered a benefit. The third type of consumption tax is the familiar percentage tax on retail sales. Of the various forms of consumption tax, the sales tax surely has the great advantage, for most of us, of eliminating the despotic power of the government over the life of every individual, as in the income tax, or over each business firm, as in the VAT. It would not distort the production structure as would the VAT, and it would not skew individual preferences as would specific excise taxes. The consumption tax, on the other hand, can only be regarded as a payment for permission-to-live. It implies that a man will not be allowed to advance or even sustain his own life unless he pays, off the top, a fee to the State for permission to do so. The consumption tax does not strike me, in its philosophical implications, as one whit more noble, or less presumptuous, than the income tax. Proportionality and Progressivity: Who? Whom? One of the suggested virtues of the consumption tax advanced by conservatives is that, while the income tax can be and generally is progressive, the consumption tax is virtually automatically proportional. It is also claimed that progressive taxation is tantamount to theft, with the poor robbing the rich, whereas proportionality is the fair and ideal tax. In the first place, however, the Fisher-type consumption tax could well be every bit as progressive as the income tax. Even the sales tax is scarcely free from progressivity. For most sales taxes in practice exempt such products as food, exemptions that distort individual market preferences and also introduce progressivity of taxation. But is progressivity really the problem? Let us take two individuals, one who makes $10,000 a year and another who makes $100,000. Let us posit two alternative tax systems: one proportional, the other steeply progressive. In the progressive tax system, income tax rates range from 1 percent for the $10,000-a-year man, to 15 percent for the man with the higher income. In the succeeding proportional system, let us assume, everyone, regardless of income, pays the same 30 percent of his income. In the progressive system, the low-income man pays $100 a year in taxes, and the wealthier pays $15,000, whereas in the allegedly fairer proportional system, the poorer man pays $3000 instead of $100, while the wealthier pays $30,000 instead of $15,000. It is, however, small consolation to the higher-income person that the poorer man is paying the same percentage of income in tax as he, for the wealthier person is being mulcted far more than before. It is unconvincing, therefore, to the richer man to be told that he is now no longer being “robbed” by the poor, since he is losing far more than before. If it is objected that the total level of taxation is far higher under our posited proportional than progressive system, we reply that that is precisely the point. For what the higher-income person is really objecting to is not the mythical robbery inflicted upon him by “the poor”; his problem is the very real amount being extracted from him by the State. The wealthier man’s real complaint, then, is not how badly he is being treated relative to someone else, but how much money is being extracted from his own hard-earned assets. We submit that progressivity of taxes is a red herring; that the real problem and proper focus should be on the amount that any given individual is obliged to surrender to the State. The State, of course, spends the money it receives on various groups, and those who claim that progressive taxation mulcts the rich on behalf of the poor argue by comparing the income status of the taxpayers with those on the receiving end of the State’s largess. Similarly, the Chicago School claims that the tax system is a process by which the middle class exploits both the rich and the poor, while the New Left insists that taxes are a process by which the rich exploit the poor. All of these attempts misfire by unjustifiably bracketing as one class the payers to, and recipients from, the State. Those who pay taxes to the State, be they wealthy, middle class or poor, are certainly on net, a different set of people than those wealthy, middle-class, or poor, who receive money from State coffers, which notably includes politicians and bureaucrats as well as those who receive favors from these members of the State apparatus. It makes no sense to lump these groups together. It makes far more sense to realize that the process of tax and expenditures creates two and only two separate, distinct, antagonistic social classes, what Calhoun brilliantly identified as the (net) taxpayers and the (net) tax consumers, those who pay taxes and those who live off them. I submit that, looked at in this perspective, it also becomes particularly important to minimize the burdens which the State and its privileged tax consumers place on the productivity of the taxpayers. The major argument for replacing an income by a consumption tax is that savings would no longer be taxed. A consumption tax, its advocates assert, would tax consumption and not savings. The fact that this argument is generally advanced by free-market economists, in our day mainly by the supply-siders, strikes one immediately as rather peculiar. For individuals on the free market, after all, each decide their own allocation of income to consumption or to savings. This proportion of consumption to savings, as Austrian economics teaches us, is determined by each individual’s rate of time preference, the degree by which he prefers present to future goods. For each person is continually allocating his income between consumption now, as against saving to invest in goods that will bring an income in the future. And each person decides the allocation on the basis of his time preference. To say, therefore, that only consumption should be taxed and not savings is to challenge the voluntary preferences and choices of individuals on the free market, and to say that they are saving far too little and consuming too much, and therefore that taxes on savings should be removed and all the burdens placed on present as compared to future consumption. But to do that is to challenge free-market expressions of time preference, and to advocate government coercion to forcibly alter the expression of those preferences, so as to coerce a higher saving-to-consumption ratio than desired by free individuals. We must, then, ask, By what standards do the supply-siders and other advocates of consumption taxes decide why and to what extent savings are too low and consumption too high? What are their criteria of “too low” or “too much,” on which they base their proposed coercion over individual choice? And what is more, by what right do they call themselves advocates of the “free market” when they propose to dictate choices in such a vital realm as the proportion between present and future consumption? Supply-siders consider themselves heirs of Adam Smith, and in one sense they are right. For Smith, too, driven in his case by a deep-seated Calvinist hostility to luxurious consumption, sought to use government to raise the social proportion of investment to consumption beyond the desires of the free market. One method he advocated was high taxes on luxurious consumption; another was usury laws, to drive interest rates below the free-market level, and thereby coercively channel or ration savings and credit into the hands of sober, industrious prime business borrowers, and out of the hands of “projectors” and “prodigal” consumers who would be willing to pay high interest charges. Indeed, through the device of the ghostly Impartial Spectator, who, in contrast to real human beings, is indifferent to the time at which he will receive goods, Smith virtually held a zero rate of time preference to be the ideal. The only coherent argument offered by advocates of consumption against income taxation is that of Irving Fisher, based on suggestions in John Stuart Mill. Fisher argued that, since the goal of all production is consumption, and since all capital goods are only way stations on the way to consumption, the only genuine income is consumption spending. The conclusion is quickly drawn that therefore only consumption income, not what is generally called “income,” should be subject to tax. More specifically, savings and consumption, it is alleged, are not really symmetrical. All saving is directed toward enjoying more consumption in the future. Potential present consumption is foregone in return for an expected increase in future consumption. The argument concludes that therefore any return on investment can only be considered a “double counting” of income, in the same way that a repeated counting of the gross sales of, say, a case of Wheaties from manufacturer to jobber to wholesaler to retailer as part of net income or product would be a multiple counting of the same good. This reasoning is correct as far as it goes in explaining the consumption-savings process, and is quite helpful in leveling a critique of conventional national income or product statistics. For these statistics carefully leave out all double or multiple counting in order to arrive at total net product, yet they arbitrarily include in total net income, investment in all capital goods lasting longer than one year  a clear example itself of double counting. Thus, the current practice absurdly excludes from net income a merchant’s investment in inventory lasting 11 months before sale, but includes in net income investment in inventory lasting for 13 months. The cogent conclusion is that an estimate of social or national income should include only consumer spending. Despite the many virtues of the Fisher analysis, however, it is impermissible to leap to the conclusion that only consumption should be taxed rather than income. It is true that savings leads to a greater supply of consumer goods in the future. But this fact is known to all persons; that is precisely why people save. The market, in short, knows all about the productive power of savings for the future, and allocates its expenditures accordingly. Yet even though people know that savings will yield them more future consumption, why don’t they save all their current income? Clearly, because of their time preferences for present as against future consumption. These time preferences govern people’s allocation between present and future. Every individual, given his money “income”  defined in conventional terms  and his value scales, will allocate that income in the most desired proportion between consumption and investment. Any other allocation of such income, any different proportions, would therefore satisfy his wants and desires to a lesser extent and lower his position on his value scale. It is therefore incorrect to say that an income tax levies an extra burden on savings and investment; it penalizes an individual’s entire standard of living, present and future. An income tax does not penalize saving per se any more than it penalizes consumption. Hence, the Fisher analysis, for all its sophistication, simply shares the other consumption-tax advocates’ prejudices against the voluntary free-market allocations between consumption and investment. The argument places greater weight on savings and investment than the market does. A consumption tax is just as disruptive of voluntary time preferences and market allocations as is a tax on savings. In most or all other areas of the market, free-market economists understand that allocations on the market tend always to be optimal with respect to satisfying consumers’ desires. Why then do they all too often make an exception of consumption-savings allocations, refusing to respect time-preference rates on the market? Perhaps the answer is that economists are subject to the same temptations as anyone else. One of these temptations is to call loudly for you, him, and the other guy to work harder, and save and invest more, thereby increasing one’s own present and future standards of living. A follow-up temptation is to call for the gendarmes to enforce that desire. Whatever we may call this temptation, economic science has nothing to do with it. Having challenged the merits of the goal of taxing only consumption and freeing savings from taxation, we now proceed to deny the very possibility of achieving that goal, i.e., we maintain that a consumption tax will devolve, willy-nilly, into a tax on income and therefore on savings as well. In short, that even if, for the sake of argument, we should want to tax only consumption and not income, we should not be able to do so. Let us take, first, the Fisher plan, which, seemingly straightforward, would exempt saving and tax only consumption. Let us take Mr. Jones, who earns an annual income of $100,000. His time preferences lead him to spend 90 percent of his income on consumption, and save and invest the other 10 percent. On this assumption, he will spend $90,000 a year on consumption, and save-and-invest the other $10,000. Let us assume now that the government levies a 20 percent tax on Jones’s income, and that his time-preference schedule remains the same. The ratio of his consumption to savings will still be 90:10, and so, after-tax income now being $80,000, his consumption spending will be $72,000 and his saving-investment $8,000 per year. Suppose now that instead of an income tax, the government follows the Irving Fisher scheme, and levies a 20 percent annual tax on Jones’s consumption. Fisher maintained that such a tax would fall only on consumption, and not on Jones’s savings. But this claim is incorrect, since Jones’s entire savings-investment is based solely on the possibility of his future consumption, which will be taxed equally. Since future consumption will be taxed, we assume, at the same rate as consumption at present, we cannot conclude that savings in the long run receives any tax exemption or special encouragement. There will therefore be no shift by Jones in favor of savings-and-investment due to a consumption tax. In sum, any payment of taxes to the government, whether they be consumption or income, necessarily reduces Jones’s net income. Since his time-preference schedule remains the same, Jones will therefore reduce his consumption and his savings proportionately. The consumption tax will be shifted by Jones until it becomes equivalent to a lower rate of tax on his own income. If Jones still spends 90 percent of his net income on consumption, and 10 percent on savings-investment, his net income will be reduced by $15,000, instead of $20,000, and his consumption will now total $76,000, and his savings-investment $9,000. In other words, Jones’s 20 percent consumption tax will become equivalent to a 15 percent tax on his income, and he will arrange his consumption-savings proportions accordingly. We saw at the beginning of this paper that an excise tax skewing resources away from more desirable goods does not necessarily mean we can recommend an alternative, such as an income tax. But how about a general sales tax, assuming that one can be levied politically with no exemptions of goods or services? Wouldn’t such a tax burden be only on consumption and not income? In the first place, a sales tax would be subject to the same problems as the Fisher consumption tax. Since future and present consumption would be taxed equally, there would again be shifting by each individual so that future as well as present consumption would be reduced. But, furthermore, the sales tax is subject to an extra complication: the general assumption that a sales tax can be readily shifted forward to the consumer is totally fallacious. In fact, the sales tax cannot be shifted forward at all! Consider: all prices are determined by the interaction of supply, the stock of goods available to be sold, and by the demand schedule for that good. If the government levies a general 20 percent tax on all retail sales, it is true that retailers will now incur an additional 20 percent cost on all sales. But how can they raise prices to cover these costs? Prices, at all times, tend to be set at the maximum net revenue point for each seller. If the sellers can simply pass the 20 percent increase in costs onto the consumers, why did they have to wait until a sales tax to raise prices? Prices are already at highest net income levels for each firm. Any increase in cost, therefore, will have to be absorbed by the firm; it cannot be passed forward to the consumers. Put another way, the levy of a sales tax has not changed the stock already available to the consumers; that stock has already been produced. Demand curves have not changed, and there is no reason for them to do so. Since supply and demand have not changed, neither will price. Or, looking at the situation from the point of the demand and supply of money, which help determine general price levels, the supply of money has remained as given, and there is also no reason to assume a change in the demand for cash balances either. Hence, prices will remain the same. It might be objected that, even though shifting forward to higher prices cannot occur immediately, it can do so in the longer run, when factor and resources owners will have a chance to lower their supply at a later point in time. It is true that a partial excise can be shifted forward in this way, in the long run, by resources leaving, let us say, the liquor industry and shifting into other untaxed industries. After a while, then, the price of liquor can be raised by a liquor tax, but only by reducing the future supply, the stock of liquor available for sale at a future date. But such “shifting” is not a painless and prompt passing on of a higher price to consumers; it can only be accomplished in a longer run by a reduction in the supply of a good. The burden of a sales tax cannot be shifted forward in the same way, however. For resources cannot escape a sales tax as they can an excise tax  by leaving the liquor industry and moving to another. We are assuming that the sales tax is general and uniform; it cannot therefore, be escaped by resources except by fleeing into idleness. Hence, we cannot maintain that the sales tax will be shifted forward in the long run by all supplies of goods falling by something like 20 percent (depending on elasticities). General supplies of goods will fall, and hence prices rise, only to the relatively modest extent that labor, seeing a rise in the opportunity cost of leisure because of a drop in wage incomes, will leave the labor force and become voluntarily idle (or more generally will lower the number of hours worked). In the long run, of course, and that run is not very long, the retail firms will not be able to absorb a sales tax; they are not unlimited pools of wealth ready to be confiscated. As the retail firms suffer losses, their demand curves for all intermediate goods, and then for all factors of production, will shift sharply downward, and these declines in demand schedules will be rapidly transmitted to all the ultimate factors of production: labor, land, and interest income. And since all firms tend to earn a uniform interest return determined by social time preference, the incidence of the fall in demand curves will rest rather quickly on the two ultimate factors of production: land and labor. Hence, the seemingly common-sense view that a retail sales tax will readily be shifted forward to the consumer is totally incorrect. In contrast, the initial impact of the tax will be on the net incomes of retail firms. Their severe losses will lead to a rapid downward shift in demand curves, backward to land and labor, i.e., to wage rates and ground rents. Hence, instead of the retail sales tax being quickly and painlessly shifted forward, it will, in a longer run, be painfully shifted backward to the incomes of labor and landowners. Once again, an alleged tax on consumption, has been transmuted by the processes of the market into a tax on incomes. The general stress on forward shifting, and neglect of backward shifting, in economics is due to the disregard of the Austrian theory of value, and its insight that market price is determined only by the interaction of an already-produced stock, with the subjective utilities and demand schedules of consumers for that stock. The market supply curve, therefore, should be vertical in the usual supply-demand diagram. The standard Marshallian forward-sloping supply curve illegitimately incorporates a time dimension within it, and it therefore cannot interact with an instantaneous, or freeze-frame, market-demand curve. The Marshallian curve sustains the illusion that higher cost can directly raise prices, and not only indirectly by reducing supply. And while we may arrive at the same conclusion as Marshallian supply-curve analysis for a particular excise tax, where partial equilibrium can be used, this standard method breaks down for general sales taxation. We conclude with the observation that there has been far too much concentration on the form, the type of taxation, and not enough on its total amount. The result has been endless tinkering with kinds of taxes, coupled with neglect of a far more critical question: how much of the social product should be siphoned away from the producers? Or, how much income should be retained by the producers and how much income and resources coercively diverted for the benefit of nonproducers? It is particularly odd that economists who proudly refer to themselves as advocates of the free market have in recent years led the way in this mistaken path. It was allegedly free-market economists for example who pioneered in and propagandized for the alleged Tax Reform Act of 1986. This massive change was supposed to bring us “simplification” of our income taxes. The result, of course, was so simple that even the IRS, let alone the fleet of tax lawyers and tax accountants, has had great difficulty in understanding the new dispensation. 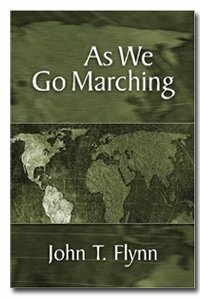 Peculiarly, moreover, in all the maneuverings that led to the Tax Reform Act, the standard held up by these economists, a standard apparently so self-evident as to need no justification, was that the sum of tax changes be “revenue neutral.” But they never told us what is so great about revenue neutrality. And of course, by cleaving to such a standard, the crucial question of total revenue was deliberately precluded from the discussion. Even more egregious was an early doctrine of another group of supposed free-market advocates, the supply-siders. In their original Laffer-curve manifestation, now happily consigned to the dustbin of history, the supply-siders maintained that the tax rate that maximizes tax revenue is the “voluntary” rate, and a rate that should be diligently pursued. It was never pointed out in what sense such a tax rate is “voluntary,” or what in the world the concept of “voluntary” has to do with taxation in the first place. Much less did the supply-siders in their Lafferite form ever instruct us why we must all uphold maximizing government revenue as our beau idéal. Surely, for free-market proponents, one might think that minimizing government depredation of the private product would be a bit more appealing. The government exacts from a taxpayer the payment of a given tax in the shape of money. To meet this demand, the taxpayer exchanges part of the products at his disposal for coin, which he pays to the tax-gatherers. in the end … this value is consumed; and then the portion of wealth, which passes from the hands of the taxpayer into those of the tax-gatherer, is destroyed and annihilated. prevalent notion, that the values, paid by the community for the public service, return it again … that what government and its agents receive, is refunded again by their expenditures. 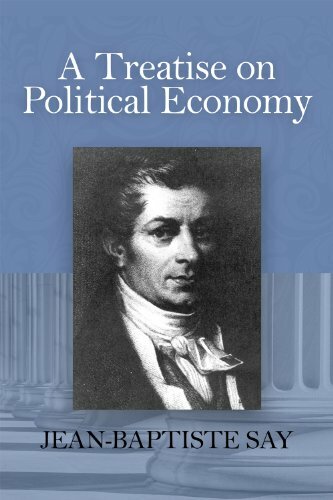 A Treatise on Politica... Jean-Baptiste Say Check Amazon for Pricing. the transfer of a portion of the national products from the hands of individuals to those of the government, for the purpose of meeting the public consumption of expenditure…. It is virtually a burthen imposed upon individuals, either in a separate or corporate character, by the ruling power … for the purpose of supplying the consumption it may think proper to make at their expense. Taxation deprives the producer of a product, which he would otherwise have the option of deriving a personal gratification from, if consumed … or of turning to profit, if he preferred to devote it to an useful employment…. [T]herefore, the subtraction of a product must needs diminish, instead of augmenting, productive power. In 1619, Father Pedro Fernandez Navarrete, “Canonist Chaplain and Secretary of his High Majesty,” published a book of advice to the Spanish monarch. Sternly advising a drastic cut in taxation and government spending, Father Navarrete recommended that, in the case of sudden emergencies, the king rely soley on soliciting voluntary donations. Alejandro Antonio Chafuen, Christians for Freedom: Late Scholastic Economics (San Francisco: Ignatius Press, 1986), p. 68. It is particularly poignant, on or near any April 15, to contemplate the dictum of Father Navarrete, that “the only agreeable country is the one where no one is afraid of tax collectors,” Chafuen, Christians for Freedom, p. 73. 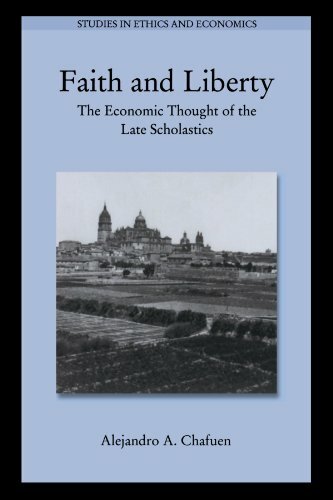 Also see Murray N. Rothbard, “Review of A. Chafuen, Christians for Freedom: Late Scholastic Economics,” International Philosophical Quarterly 28 (March 1988): 11214. See, for example, Irving and Herbert N. Fisher, Constructive Income Taxation (New York: Harper, 1942). 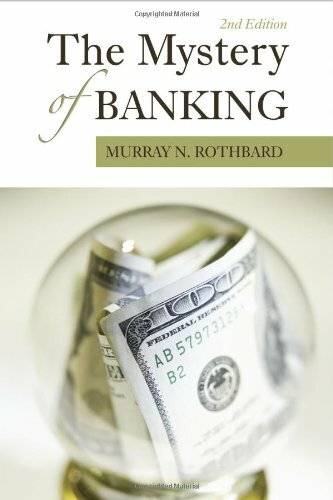 For a fuller treatment, and a discussion of who is being robbed by whom, see Murray N. Rothbard, Power and Market: Government and the Economy, 2nd ed. (Kansas City: Sheed Andrews & McMeel, 1977), pp. 12021. 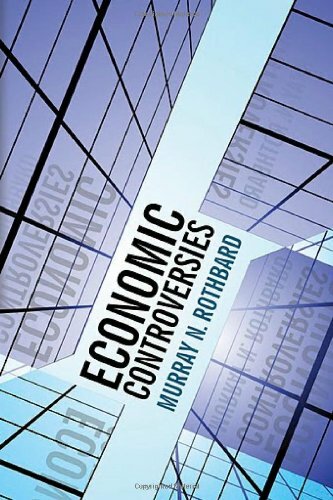 See Murray N. Rothbard, Man, Economy, and State: A Treatise on Economic Principles. See the illuminating article by Roger W. Garrision, “West’s ‘Cantillon and Adam Smith’: A Comment,” Journal of Libertarian Studies 7 (Fall 1985): 29192. See Rothbard, Power and Market, pp. 98100. We omit here the fascinating question of how government’s activities should be treated in national income statistics. 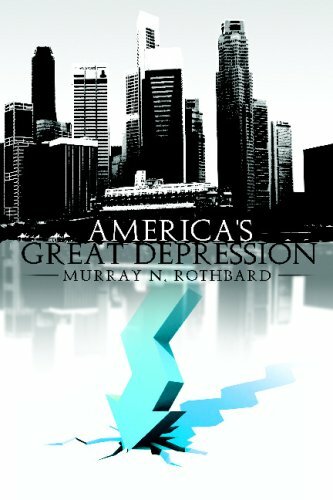 See Rothbard, Man, Economy, and State, 2, pp. 81520; idem, Power and Market, pp. 199201; idem, America’s Great Depression, 4th ed. (New York: Richardson & Snyder, 1983), pp. 296304; Robert Batemarco, “GNP, PPR, and the Standard of Living,” Review of Austrian Economics 1 (1987): 18186. We set aside the fact that, at the lower amount of money assets left to him, Jones’s time-preference rate, given his time-preference schedule, will be higher, so that his consumption will be higher, and his savings lower, than we have assumed. In fact, per note 9, supra, there will be a shift in favor of consumption because a diminished amount of money will shift the taxpayer’s time preference rate in the direction of consumption. Hence, paradoxically, a pure tax on consumption will and up taxing savings more than consumption! 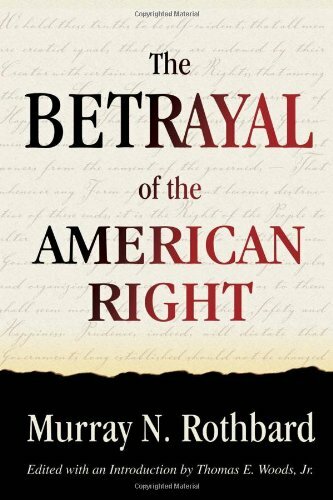 See Rothbard, Power and Market, pp. 10811. where G=gross income, t=the tax rate on consumption, and c, consumption as percent of net income, are givens of the problem, and N = G  T by definition, where T is the amount paid in consumption tax. 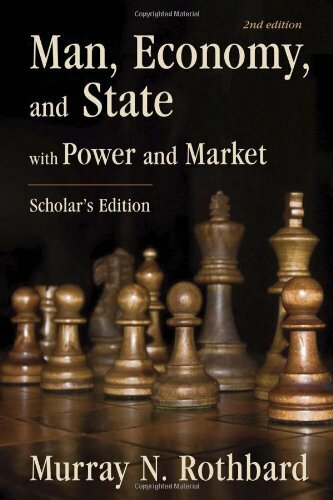 Rothbard, Power and Market, pp. 88-93. Also see the notable article by Harry Gunnison Brown, “The Incidence of a General Sales Tax,” in Readings in the Economics of Taxation, R. Musgrave and C. Shoup, eds. (Homewood, Ill: Irwin, 1959), pp. 33039. Jean-Baptiste Say, A Treatise on Political Economy, 6th ed. (Philadelphia: Claxton, Remsen & Heffelfinger, 1880), pp. 41215. 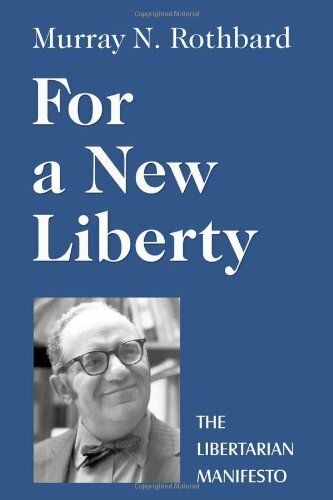 Also see Murray N. Rothbard, “The Myth of Neutral Taxation,” Cato Journal 1 (Fall 1981): 55154. Previous article by Murray N. Rothbard: What's So Special About Mises? What's So Special About Mises?